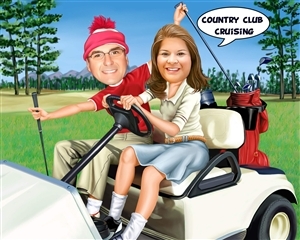 Grab your polo shirts and plaid shorts... it's time to go for a cruise on the golf course! 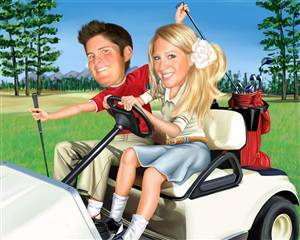 We are sure that all of the golf lovers you know will agree that this caricature is up to par! 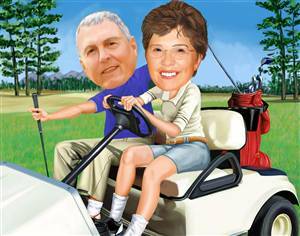 I got this for my Aunt and Uncle who just purchased a new golf cart. This makes me laugh each time I see it. So well done. LOVE IT!